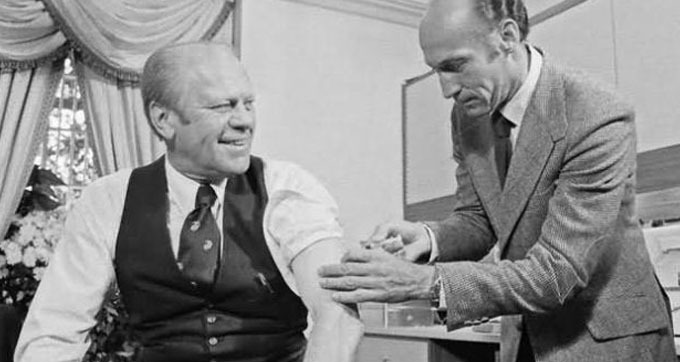 PRESIDENT GERALD FORD: This virus was the cause of a pandemic in 1918 and 1919 that resulted in over half a million deaths in the United States, as well as 20 million deaths around the world. JUDY ROBERTS: I joked about it at that time. I said I’ll be numb to the knees by Friday if this keeps up. By the following week, I was totally paralyzed. WALLACE: So completely paralyzed, in fact, that they had to operate on her to enable her to breathe. And for six months, Judy Roberts was a quadriplegic. The diagnosis: A neurological disorder called “Guillain-Barré Syndrome” – GBS for short. These neurological diseases are little understood. They affect people in different ways. As you can see in these home movies taken by a friend, Judy Roberts’ paralysis confined her mostly to a wheelchair for over a year. But this disease can even kill. Indeed, there are 300 claims now pending from the families of GBS victims who died, allegedly as a result of the swine flu shot. In other GBS victims, the crippling effects diminish and all but disappear. But for Judy Roberts, progress back to good health has been painful and partial. ROBERTS: Very different, I have a – a greatly decreased mobility in my lips. And I can’t drink through a straw on the right-hand side. I can’t blow out birthday candles. I don’t whistle any more, for which my husband is grateful. ROBERTS: Yes. This – this is it. WALLACE: So Judy Roberts and her husband have filed a claim against the U.S. government. They’re asking $12 million, though they don’t expect to get nearly that much. Judy, why did you take the flu shot? ROBERTS: I’d never taken any other flu shots, but I felt like this was going to be a major epidemic, and the only way to prevent a major epidemic of a really deadly variety of flu was for everybody to be immunized. 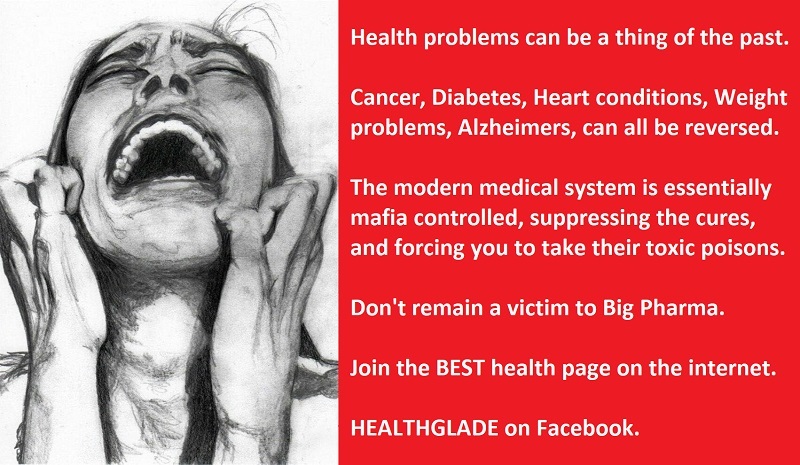 WALLACE: Where did this so called “deadly variety of flu”, where did it first hit back in 1976? It began right here at Fort Dix in New Jersey in January of that year, when a number of recruits began to complain of respiratory ailments, something like the common cold. An Army doctor here sent samples of their throat cultures to the New Jersey Public Health Lab to find our just what kind of bug was going around here. One of those samples was from a Private David Lewis, who had left his sick bed to go on a forced march. Private Lewis had collapsed on that march, and his sergeant had revived him by mouth-to-mouth resuscitation. But the sergeant showed no signs of illness. A few days later, Private Lewis died. ROBERTS: If this disease is so potentially fatal that it’s going to kill a young, healthy man, a middle-aged schoolteacher doesn’t have a prayer. WALLACE: The New Jersey lab identified most of those solders’ throat cultures as the normal kind of flu virus going around that year, but they could not make out what kind of virus was in the culture from the dead soldier, and from four others who were sick. So they sent those cultures to the Federal Center for Disease Control in Atlanta, Georgia, for further study. A few days later they got the verdict: swine flu. But that much-publicized outbreak of swine flu at Fort Dix involved only Private Lewis, who died, and those four other soldiers, who recovered completely without the swine flu shot. DR DAVID SENCER: The rationale for our recommendation was not on the basis of the death of a – a single individual, but it was on the basis that when we do see a change in the characteristics of the influenza virus, it is a massive public-health problem in this country. WALLACE: Dr David Sencer, then head of the CDS – the Center of Disease Control in Atlanta – is now in private industry. He devised the swine flu program and he pushed it. You began to give flu shots to the American people in October of ’76? WALLACE: Now, nearly everyone was to receive the shot in a public health facility where a doctor might not be present, therefore it was up to the CDC to come up with some kind of official consent form giving the public all the information it needed about the swine flu shot. This form stated that the swine flu vaccine had been tested. What it didn’t say was that after those tests were completed, the scientists developed another vaccine and that it was the one given to most of the 46 million who took the shot. That vaccine was called “X-53a”. Was X-53a ever field tested? DR SENCER: I would have to check the records. I haven’t looked at this in some time. WALLACE: Judy Roberts’ husband, Gene, also took the shot. GENE ROBERTS: Yes, I looked at that document, I signed it. Nothing on there said I was going to have a heart attack, or I can get Guillain Barre, which I’d never heard of. DR HATTICK: By review of the literature. DR SENCER: I think that over the years we have tried to inform the American people as fully as possible. WALLACE: As part of informing Americans about the swine flu threat, Dr Sencer’s CDC also helped create the advertising to get the public to take the shot. Let me read to your from one of your own agency’s memos planning the campaign to urge Americans to take the shot. “The swine flu vaccine has been taken by many important persons,” he wrote. “Example: President Ford, Henry Kissinger, Elton John, Muhammad Ali, Mary Tyler Moore, Rudolf Nureyev, Walter Cronkite, Ralph Nader, Edward Kennedy” -etcetera, etcetera. True? MOORE: He’s delighted that I didn’t take that shot. WALLACE: You’re in charge. Somebody’s in charge. DR SENCER: Who’s it signed by? WALLACE: This one is unsigned. But you–you’ll acknowledge that it was your baby so-to-speak? DR SENCER: It could have been from the Department of Health, Education and Welfare. It could be from CDC. I don’t know. I’ll be happy to take responsibility for it. WALLACE: It’s been three years now since you fell ill with GBS right? ROBERTS: No, I don’t think so. It seems to be dragging on and on and on, and really no end in sight that I can see at this point. WALLACE: Former Secretary of HEW Joseph Califano, too was disturbed that there was no end in sight. So a year and a half ago, he proposed that Uncle Sam would cut the bureaucratic red tape for victims suffering from GBS and would pay up quickly. CALIFANO: We shouldn’t hold them to an impossible or too difficult standard of proving that they were hurt. Even if we pay a few people a few thousand dollars that might not have deserved it, I think justice requires that we promptly pay those people who do deserve it. WALLACE: Who’s making the decision to be so hard-nosed about settling? CALIFANO: And that statement said in effect that we should pay Guillain-Barré claims without regard to whether the federal government was negligent, if they – if they resulted from the swine flu shot. GENE ROBERTS: I think the government knows it’s wrong. GENE ROBERTS: I—I am a little more adamant in my thoughts than my wife is, because I asked – told Judy to take the shot. She wasn’t going to take it, and she never had had shots. And I’m mad with my government because they knew the facts, but they didn’t release those facts because if they had released them, the people wouldn’t have taken it. And they can come out tomorrow and tell me there’s going to be an epidemic, and they can drop off like flies next to me, I will not take another shot that my government tells me to take.